Three styles are available. 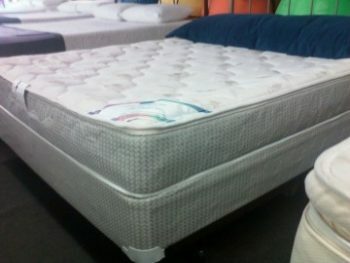 One has a standard fully quilted outside cover Royal South Seas, the next model up is a pillow top that has a plush Euro-Pillowtop (3 times thicker). Royal Caribbean Pillowtop. The top model is a premium 4.5 inch pillow top, Mediterranean. The South Seas and Caribbean come in 4 and 6” depths, the Mediterranean comes in 6 and 8” depths. Here at Rick’s Home Store we carry several inserts available for all three models. 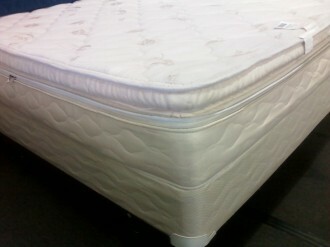 They include tubes, free flow mattress, waveless mattress and dual waveless mattress. All models are available with a solid-state hybrid heater as an option. 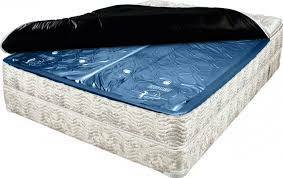 The advantages of a soft side waterbed include looking like a conventional mattress set, taking “regular” sheets and bedspreads, being able to attach to a conventional headboard, and being easier to get in and out of.